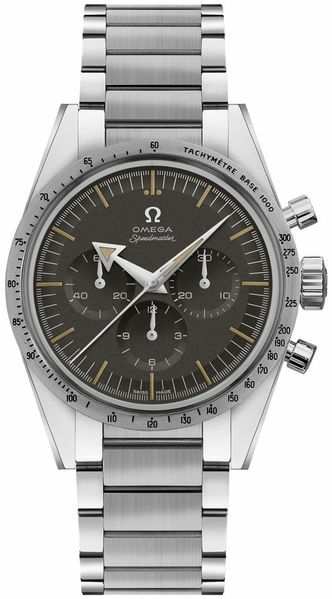 Omega Speedmaster Mens Limited Edition Chronograph 311.10.39.30.01.001 Trilogy 60th Anniversary Speedmaster Watch. Limited edition of 3557 pieces, limited edition number on caseback. Brushed and polished stainless steel case and bracelet with a fixed stainless steel bezel printed with a tachymeter scale. The black tropical vintage analog dial features luminous silver-tone broad arrow style hour & minute hands with luminous hour markers. 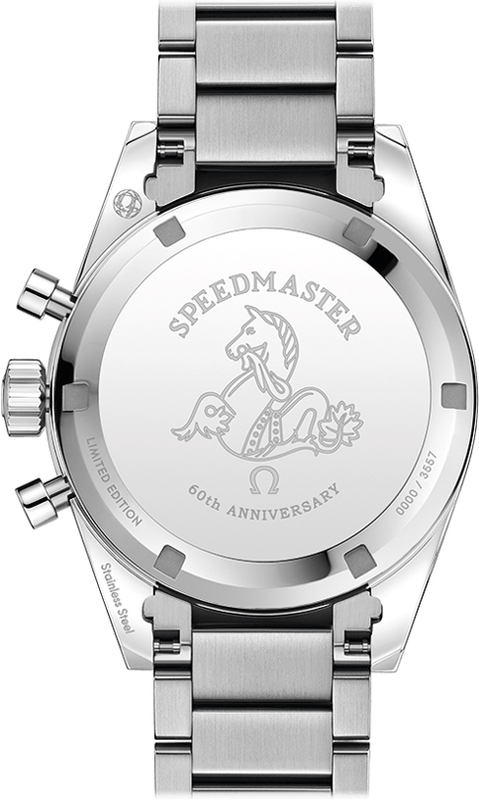 Chronograph feature with three sub-dials displaying: 60 second, 30 minute and 12 hours. Omega caliber 1861 hand wind movement. Hesalite crystal crystal protecting the dial. Pull / push non-screw down crown. Solid case back with special engravings. Round case shape. 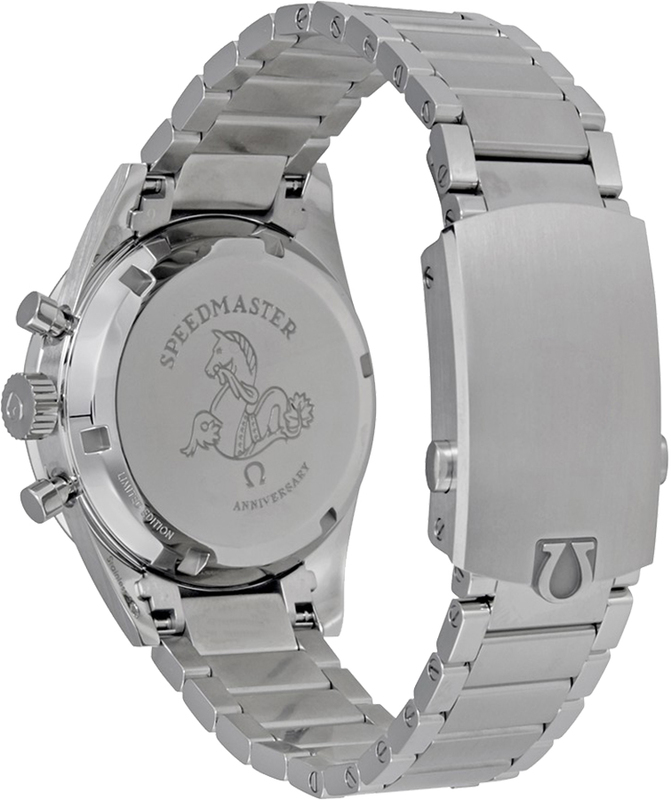 Case size: 38.6 mm. Band width: 19 mm. Deployment clasp with a push button release and micro adjustment. Water-Resistant to 60 meters / 200 feet. 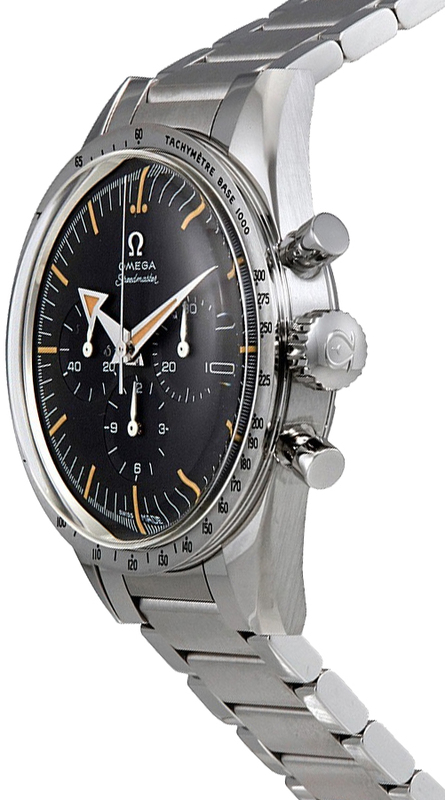 Functions: chronograph, tachymeter, hour, minute, second. Luxury watch style. Watch label: Swiss Made. Perfect. Again! 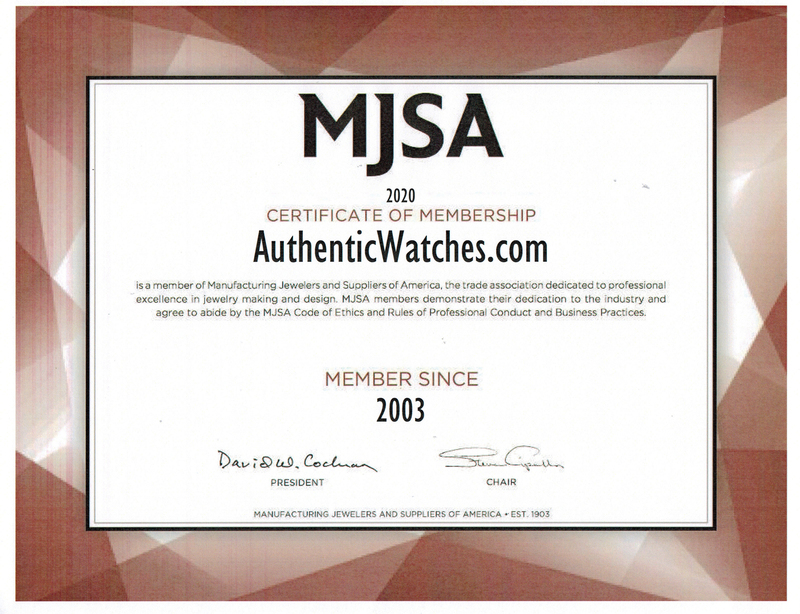 5 Thanks again AuthenticWatches! You always keep me satisfied. It's a fantastic watch! Pros:limited edition, 1657 trilogy watch, great condition, looks great! 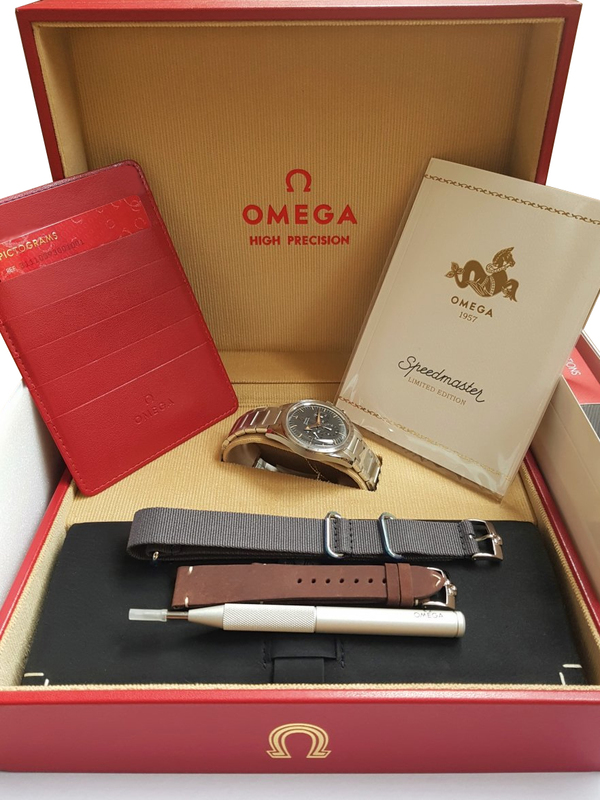 Great Omega Watch 5 Watch came brand new just as advertised. Tough watch to get but I was able to get it at a discount here so thanks for the deal Authenticwatches! 1957 Trilogy Chronograph 5 This is hands down the best watch I've ever had. 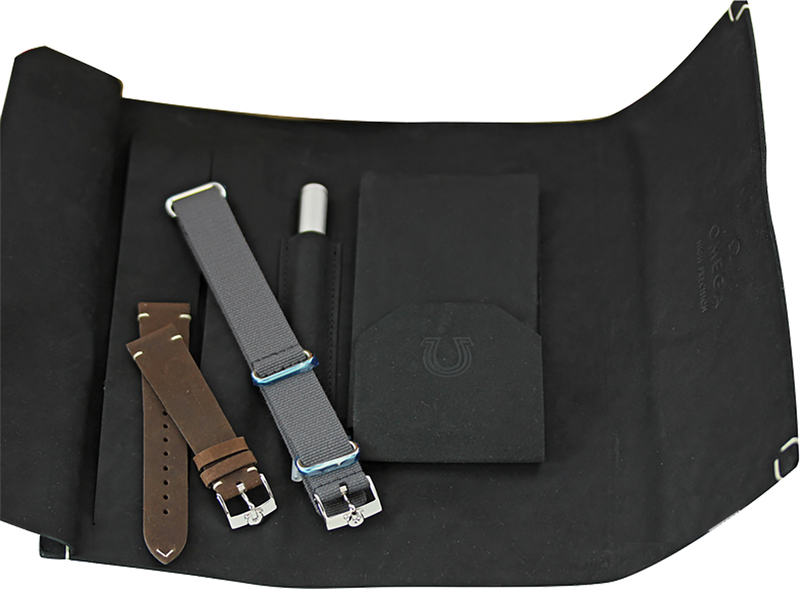 This watch looks sporty and feels durable. I love and appreciate how its looks are based on the first Speedmaster ever made. Gotten many compliments from strangers and made my friends jealous by wearing it. Omega really outdid themselves with this one.